This is a newsletter about the future for young and old alike. The number of people aged 65 years and older will double over the next 40 years in most developed countries. Long-time readers will know that I say we older people (I am 73) have a duty of care to look after ourselves so that we can continue to earn a living and to stay fit and healthy until the day we die. This duty is to ourselves, our family, our community and our country. This is what I believe, and I am incredibly concerned that young and old have been becoming more and more unhealthy. I hope that they realise that the medical cavalry will not come galloping over the hill to rescue them. Health (and disease) is the result of what you do to yourself every day. 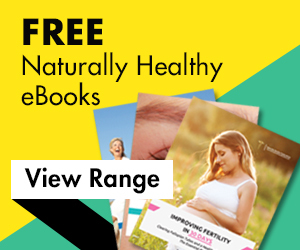 Young people have more diseases, and I get many young women asking for help with gynaecological problems caused by malnutrition which causes them fertility problems. Young men are also suffering malnutrition, and their sperm count is dropping dramatically. For clarity, the word malnutrition is not how much food you are eating but how much nutrition is in the diet. Modern industrial over-farmed food is starving people to disease. There is no doubt couples, who are failed by the medical system for 20 years, get amazing results in a few short months when they change their diet and supplement the missing nutrients. In 40 years when they are over 65, these young people will be many times worse off compared to today’s over 65s as the food and diet are many times worse. In my first seven years of my life, I received free Vitamin D (in cod liver oil and Vitamin C in liquid concentrated Orange Juice). Most foods were fresh and came from farms within a few miles. Processed foods were classed as a ‘treat,’ and even biscuits (cookies) were a ‘treat.’ I ask parents now what supplements they give their children and most say none, and the majority that do, choose the ones that are made by Drug Companies and are really inferior in quality. Follow a full daily exercise program including walking and body weight exercises. Sit down for less than 3 hours per day and stand or walk or even lay down if you need to rest. 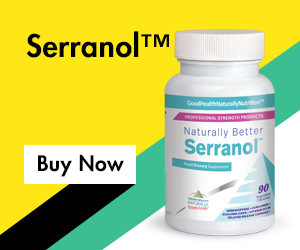 Take the critical vitamins and minerals that can and does help many of the diseases. These include Vitamin D3, selenium, magnesium and iodine. Drink at least 6 x 500ml of pure water with a large pinch of bicarbonate soda in each glass. Eat a healthy diet, high in green vegetables, dark-skinned fruits, nuts, seeds, seaweeds, and fats. Stop eating unhealthy foods such as grains, cereals, processed foods, sugary foods and drinks, processed junk meats, eggs and farmed fish that are all fed on GMO soy/cereals. Follow a Vegan Ketogenic Food plan until recovered. Detox regularly, as this is essential to clearing some of the toxins and chemicals that are permeating modern life. Include Rock Salt in your diet. 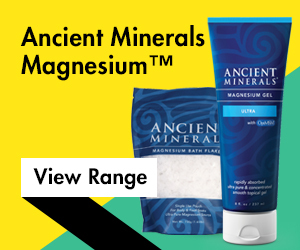 Rock salt is created in ancient sea beds and has more minerals than current salt offerings. You need at least 3 teaspoons per day and more in hot sweaty weather. Build determination to stick with the plan and stop listening to the failed Pharma medical system. Following such a health plan in every area is for the determined. However, even one of the 9 steps above will improve your health, and the more you do, the healthier you become. You will not be surprised that I am passionate about good health and I know the plan and the nutrients I take work. The proof is at 73 I stand at my computer up to 12 hours per day, and I can run, jump and lift with ease. I don’t get sick and I am only aging very slowly. I do take more supplements than the average person, and if you go around the websites, you will see lots of things and may wonder why you would take it and will it make a difference. One such supplement is AstaXanthin (Asta-Zan-Thin). I formulated it with a hefty dose of DHA since DHA is also good for the brain and eyes, it made sense to put the two together. Below is a report on the AstaXanthin in my supplement. It gives you a good overview of the benefits for everyone as they get older and why I take 4-6 capsules per day. How nourishing your body and brain could keep you healthy through your golden years. As early as the age of 50, declining muscle mass begins setting in, leading to frailty caused by a condition known as sarcopenia. The prevalence of chronic neuroinflammation, mild cognitive impairment, Alzheimer’s disease, and dementia are also higher after the age of 70. Mind and body share a need for dietary antioxidants in defense against oxidative stress that accumulates with age as the body’s own antioxidant production declines. Astaxanthin has both antioxidant and anti-inflammatory properties and has been shown to boost the effects of exercise, promoting muscle maintenance, strength, and stimulating cognitive function. 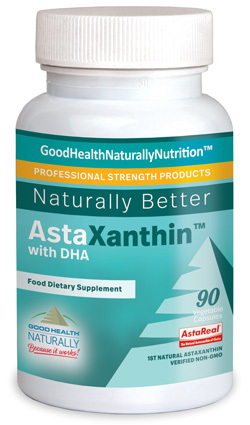 AstaXanthin Boosts the Effect of Training in the Elderly. Sarcopenia is an age-related decline in muscle mass caused when muscle protein breaks down faster than it can be re-made. The condition is compounded by reduced dietary protein absorption typical in older individuals. Consequently, strength and condition training become less effective with advancing age, as does natural antioxidant production, impacting both muscle gain and recovery from exercise. This often leads to a more sedentary lifestyle, which exacerbates frailty, increases the risk of falls, and degrades quality of life. A pioneering study from the University of Washington, 42 participants, aged 65-85 combined a 12-week training regimen with a daily supplement containing 12 mg Astaxanthin. Unlike the placebo group, the AstaXanthin group experienced significant gains in leg muscle strength and muscle cross-sectional area of 14.4% (p<0.02) and 2.7% (p<0.01), respectively. This study demonstrates that AstaXanthin boosts the effects of training in older adults, helping to combat the effects of sarcopenia on muscle strength. Memory and learning occur mainly in the hippocampus and cortex by neurogenesis. However, these processes are hindered in the aging brain by reduced blood flow and poor oxygen supply to the brain. Cardiovascular diseases, stress, and chronic neuroinflammation also affect neuron health and nourishment of the brain. Exercise improves blood flow, quickens response to stimuli, and can stimulate neurogenesis and cognition. AstaXanthin has also been shown to support blood flow, downregulate the master switch of inflammation, NFkB, and support cognitive function. Studies on rats fed 0.5% AstaXanthin (wt/wt) showed expanded spatial learning and memory in a Morris water maze test. In a clinical study, ten participants who took 6mg AstaXanthin for 28 days responded more quickly to moving visual stimuli compared to the control group. In another clinical study, participants taking AstaXanthin for 8 weeks, participants reported less mental and physical fatigue, clarity of thinking, and motivation. AstaXanthin boosts the effect of exercise training in older individuals, allowing for improved muscle strength. Regular exercise increases cerebral blood flow and wards off stress and inflammation, thus supporting the brain against the effects of aging. AstaXanthin’s two-fold ability to support muscle condition and cognitive abilities, such as memory and spatial learning, makes it an ideal nutritional supplement for healthy aging. The food you eat, water, breathing, and walking are the critical things. Next is basic supplements and minerals and lastly are the super nutrients if your finances stretch to them. The goal is to become as healthy as possible to give you a golden old age.